Caring for your tools is important. When you take the time to clean your drill bits after you use them, you are making sure your next job goes smoothly and you're also extending the life of your drill bit. These small tools can be made of different kinds of metal including steel, cobalt, titanium-coated, carbide-tipped, and high-speed steel (also known as HSS. But no matter what material, cleaning them can make a big difference in their performance over time. Clean your drill bits as you work. 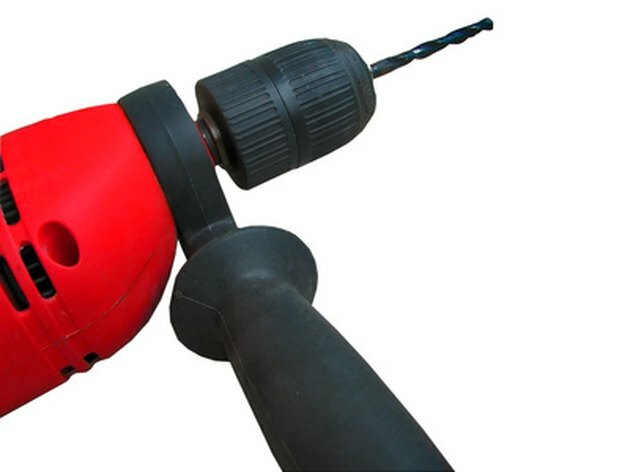 If you do not stop every five to ten minutes to wipe off your drill bit with a dry cloth, you run the risk of hurting your drill bit (and whatever you're drilling) by allowing shrapnel and other debris to scratch your bit. Let the drill bit cool off after you finish your project. Take a clean, dry towel and wipe the drill bit off, going from base to tip. Once you do a good wipe down this way, slowly spin the drill for a few seconds with the towel still wrapped around the bit. Use a clean, dry toothbrush to scrub off any stubborn debris. It will be easier to brush the bit if it is still in the drill, but this is not necessary. Apply a light coat of machine oil to all bits after they are wiped down. Store them in a cool, dry place away from any natural elements such as light, wind, or rain.